I had no idea what I was going to cook last night for dinner with the exception of one thing: chicken. We had some chicken that needed to be eaten up, so I went down to the kitchen, looked around, and came up with this fun new dish from the things we happened to have on hand. I have realized how much I love to create brand new dishes of my own instead of re-creating other people’s dishes, so I was determined to do that very thing last night with my chicken. When I selected the ingredients and came up with the idea for “Chicken and Apples with Blueberry Sauce,” I had no idea at the time whether or not it would actually taste good and how these different flavors would mesh together. Would they clash? Would they compliment each other? And how would I make the blueberry sauce? What would I put in it? I had a lot of questions and not a lot of answers. I was delightfully pleased (and definitely relieved) when I took my first bite. (We were already eating dinner late and I had no idea what I would cook for us if this crashed and burned.) 🙂 I am happy to say that my creativity worked out last night…we both liked this dish, and this mild and fruity recipe will be another keeper in our house. Wash your blueberries and then put them in a food processor until they are pureed. In a small mixing bowl, combine the pureed blueberries, balsamic vinegar, honey, and black pepper. Mix well. Wash and cut your apples up into chunks. Pour the tbsp olive oil into a large skillet. Add the chicken, sprinkle some black pepper on it, and cook on high. 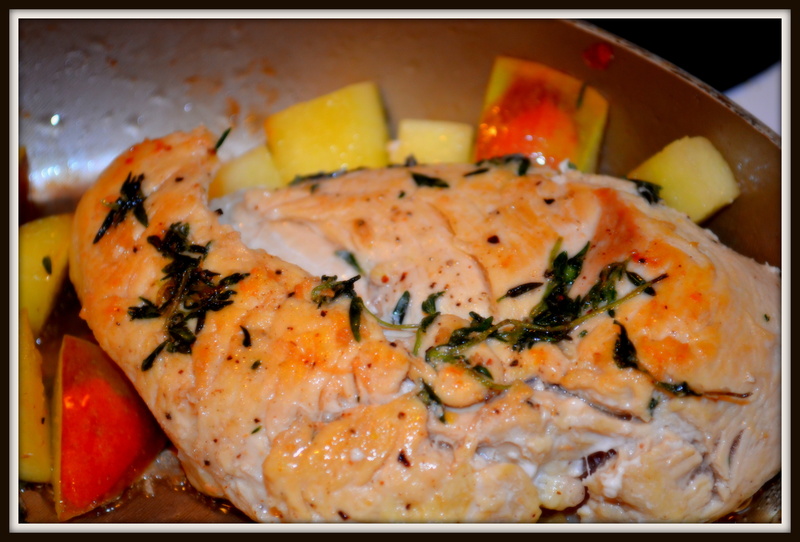 When I flipped the chicken over for the first time, I added the apple chunks to the skillet. 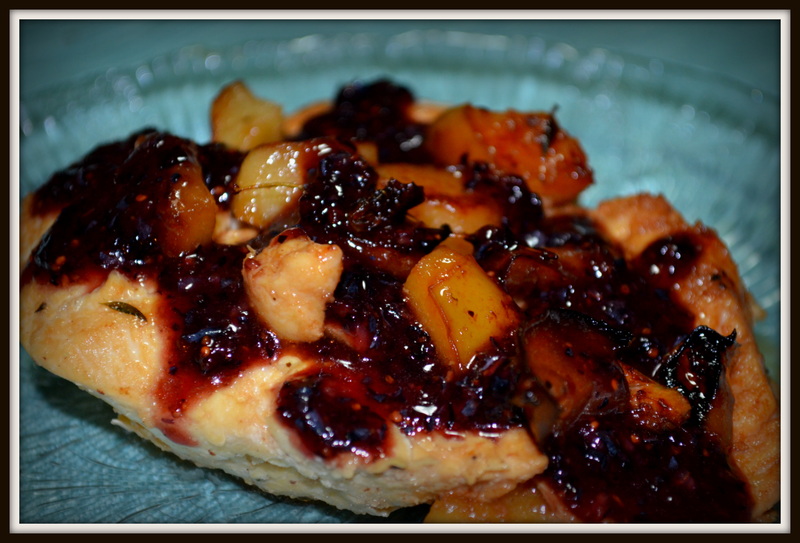 When chicken is completely cooked through, serve with the apples and blueberry sauce on it. Wow I must admit Lori this looks really good. How did you 2 like it on a scale of 1 to 10? I love making beauty out of unlikely things...in the kitchen, throughout our home, and for other people. I believe we were made to create beauty. I am a personal fitness coach, coming out of my own struggle with weight. I get to help bring people hope. I get to share my own strengths and weaknesses and inspire others. I love Jesus, I am a pastor's wife, and am a new mom to a sibling set of three through foster adoption.